The cause: synthetic cannabinoids, also known as K2, Spice, or AK47, which induced retching, vomiting, loss of consciousness and trouble breathing. 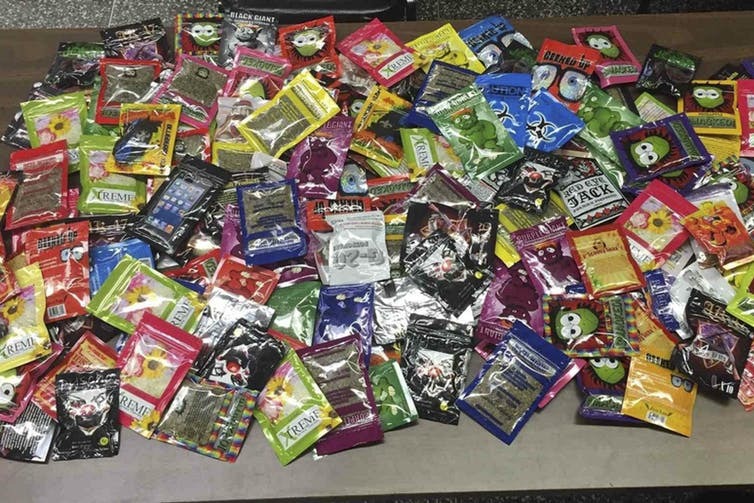 On July 19, 2018, the Food and Drug Administration warned consumers that another batch of synthetic marijuana had been laced with rat poison. In ten states and the District of Columbia, hundreds of people were hospitalised with severe bleeding, and four people died. Even with outbreaks aside, synthetic cannabinoids are 30 times more likely to harm you than regular marijuana. Even with these risks, 7 per cent of high school seniors and approximately 17 per cent of adults have tried synthetic cannabinoids. It is easy to understand why these synthetic substitutes are alluring. They are easy to purchase, relatively inexpensive, produce a more potent high and don’t emit the typical marijuana scent. And, they are much harder to detect in the urine or blood than marijuana. When you open a packet of a synthetic cannabinoid like K2 or Spice and pour the dried vegetation into your hand, it looks like marijuana. These dried leaves and stems can be inert or come from psychoactive plants like Wild Dagga. Some of these plants are contaminated with heavy metals, pesticides, mould or salmonella.